A/B testing is a powerful instrument used to increase a website’s conversion rate, which basically means increasing the chances of turning simple visitors into customers. For example, if you want to figure out which is the best version of a title for one of your landing pages, all you have to do is to conduct an A/B test and let your visitors decide which one is more likely to increase your conversion rate. An A/B test is a proven method to increasing client onboarding, but it can also do wonders for your retention strategy. Targeting and testing methods can increase conversion rates up to 300 percent. But it can do even more. 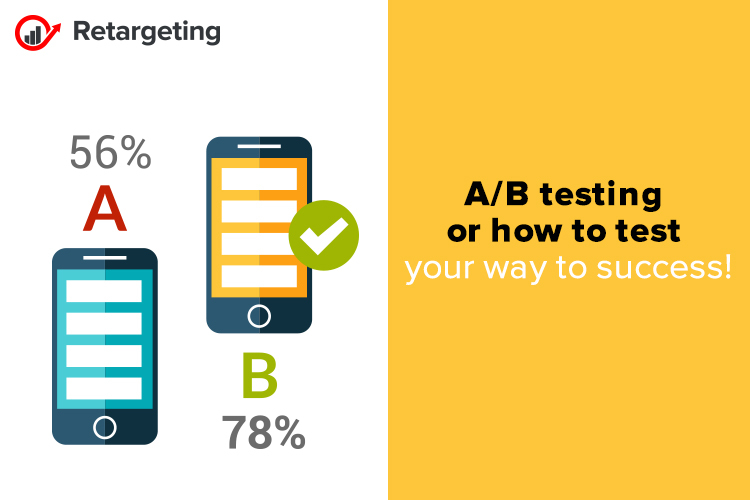 A/B testing can have a significant effect on your retention rates. Testing for what users really want, not what you think they want is crucial, and there’s no greater feeling than meeting or exceeding their expectations. What matters the most to users? When should you ask for email addresses, reviews or push customers into making a purchase? When should you ask users to watch an ad and gain free credits on your app? Through A/B testing, you’ll understand what your customers want, when they want it, and deliver increasingly effective communications. There are different types of opt-ins you can make available on a website. And you can always guess your way into a meaningful touch point with customers, but testing gives you a more accurate sense of direction. Testing for what users want to see can greatly improve your retention and conversion rates. You can release versions of your landing pages with different elements during different periods and see what happens. Or, create a landing page variation with one set of customers and another variation with a different segment. Compare your results and see which elements retain users and which convert them in order to have a data-backed strategy. What landing page design is best for your campaign? What copy do customers want to see on your ad? How long should your landing page be? All these questions can be answered by guessing or you can run surveys and analyze the info. While many believe surveys can be as effective as A/B tests, experience shows that people answer one way on surveys and act another way in real life. Your best way to learning the true intentions of customers is to set up A and B variations of everything from your website copy and email campaigns to your search ads and apps. Time is precious, so you can’t test everything. But how can you decide which factors have the biggest impact on your users? Depending on the stage of your business and the structure of your organization, you’ll have a varying level of data available for use. What is really important is to test only one element at a time, otherwise, you won’t know which change is able to increase conversion rates better. Test different versions to see what products or changes your customers want, and what interests them the least. And since the customer is always right, make their wishes come true by proving that you know them, you hear them, and you’re catering to their needs.